With Halloween just around the corner and pumpkin spice invading the culinary scene again, it’s time to salute the Cucurbits—that family of plants that includes pumpkins and squash. It’s a large family, with more than 900 members including winter and summer squash of all types, gourds as well as cucumbers and melons. 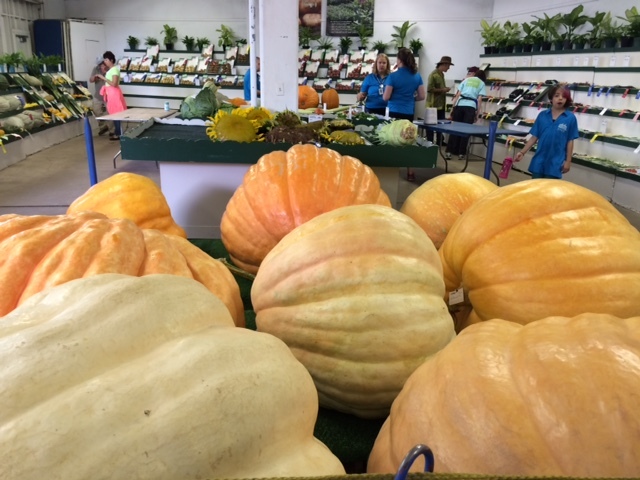 It wouldn’t be the Minnesota State Fair without giant pumpkins and squash! Pumpkins and squash are easy to grow, even in the North. To grow well, pumpkins and squash need lots of sun, adequate moisture and room to ramble. They are vines and can stretch all over the garden, but they also can be highly productive, with many squash coming from a single plant. Most people seed their pumpkins and squash directly in the garden, though it’s best to wait until the soil is warmed up — likely late May or even June. Like most vegetables, pumpkins and squash grow well in a rich soil that has been supplemented with compost. An inch of water a week through rain or the hose should be sufficient to keep them growing well. Small pumpkins ripen in the gardens at Glensheen Mansion in Duluth in fall. Pumpkins and squash will flower in mid-summer and begin to set fruit. Normally, bees will do a great job of pollinating your squash plants, but if that does not seem to be happening, you may want to try hand-pollinating. Fruits generally should be harvested before the first hard freeze. Then, cure them in the sun for another week or two. If weather does not cooperate, you can also cure your squash indoors. Many pumpkins and squash will keep for months under the right conditions. Squash are terrific additions to soups, curries, desserts of all kinds and even waffles! Did you grow pumpkins and squash this year? 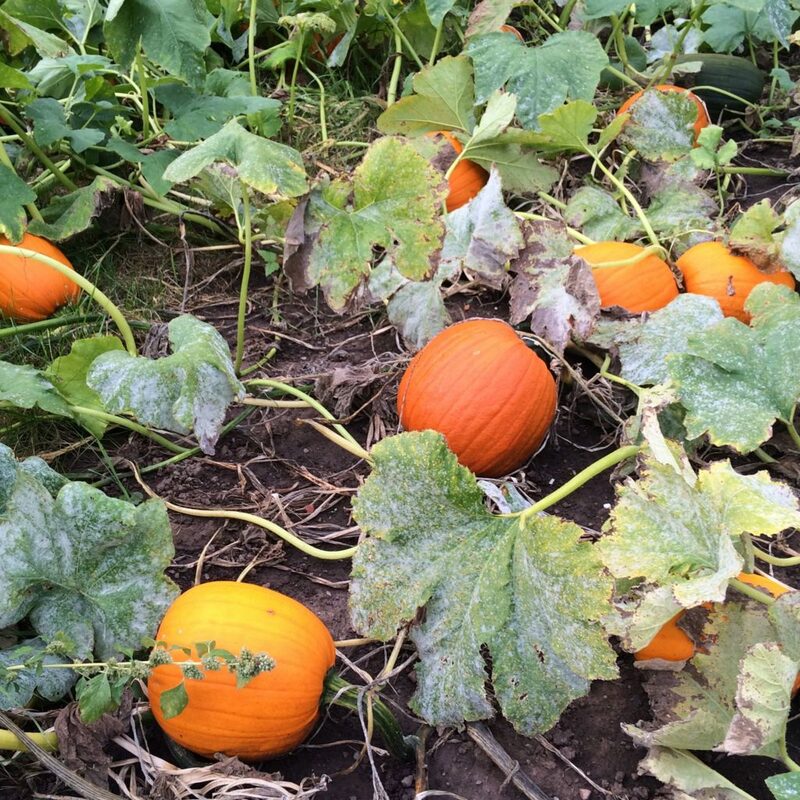 Do you have suggestions on what we can do about the pests that ruin our pumpkin crop? Is it the squash borer that’s flat and brownish grey? I grew Amish Pie and Australian Butter Pumpkin as well as Buttercup Squash. One Amish Pie produced 35 pounds of puree. I can’t wait to cook up an Australian Butter as it is the first time I have grown that variety. It was a very good cucurbit season, the foliage stayed green long into the fall and the fruit was larger than in past years. I find the pies made with the Amish variety exceptionally smooth and flavorful. Thanks, Donna! I also had better luck with squash this year than in the past. Honey Nut is my favorite butternut squash.